Wed., May 16, 2018, 4:58 p.m. Adequate hydration is essential for growing babies, toddlers and kids. As with adults, water is necessary for their body’s daily activities. Because of their smaller size, though, children are more vulnerable than adults to losing water through their skin. Kids also often forget to drink and don’t always recognize when they are thirsty, so parents need to be vigilant about making sure they stay hydrated. Children should aim to have six to eight beverages – ideally water or milk – per day (total ounces needed vary with a child’s age). Kids playing sports, spending a lot of time outdoors during the summer, or who are sick with a fever often need more. Here are some age-specific guidelines for making sure your infant or child is getting enough fluids. Breast milk provides fluid and all the nutrition a baby needs at this age for proper growth and development. No extra water is necessary (unless recommended by your pediatrician). If you are formula-feeding, double check to make sure you correctly mix formula with the right amount of water (usually 1 powder scoop per 2 ounces of water). The amount of liquid nutrition your baby needs slowly increases as he grows, and depends on his weight. In the first month of life, he may only need 12 to 24 ounces a day, increasing to 20 to 36 ounces a day by the time he is 4 to 6 months old. The liquid nutrition your baby consumes will slowly decrease as solid food nutrition increases. That said, she still needs liquid for hydration. Rely on plain water, which is good for hydration and gets an older infant used to the taste of plain water – a healthy habit for life. It’s best to avoid sweet beverages and juice as that will just get your little one used to sweet-tasting drinks. How much water does she need? Initially your infant will just take sips. But work up to a few ounces a few times a day by her first birthday. Young children need about 16 ounces of milk a day. After that, plain water should be your beverage of choice. Around 2 to 5 cups of water a day (16 to 40 ounces) should suffice, depending on the child’s size and what else they are eating. On hot summer days when they are running around outside (try to get your kids active outside for at least an hour a day), they need even more water. Don’t forget that fruit and vegetables also contain water (along with tons of important nutrients), so encourage them to eat those as well. Instead of fixating on exactly how much water your kids are drinking, try to make plain water available throughout the day, have them carry a water bottle to school and activities, and model good habits by drinking lots of plain water yourself. Water should continue to be the drink of choice. The amount of water needed varies with a child’s age and activity level, and with the climate. So while your 5-year-old probably only needs about 5 cups (40 ounces) of water each day, by the time he reaches 13, he should be drinking as much as an adult (8 cups, or 64 ounces, per day). In addition, older children, particularly adolescents, should drink about 2 to 3 cups (16 to 24 ounces) of low-fat or skim milk daily as part of a calcium-rich diet to support their rapidly growing bones. If your teen is vegan, lactose intolerant or doesn’t like dairy, ask your pediatrician for some healthful alternatives. Juice should be limited to 4 to 6 ounces per day. Look for 100 percent fruit juices or simply encourage whole fruits, which are much more satisfying and nutritious than juice. Try to keep sodas, sports drinks, energy drinks and vitamin water out of your home. They are loaded with sugar and unnecessary calories, and are a big reason so many kids are overweight. The majority of child and teen athletes do not require anything more than water for adequate hydration before, during and after exercise. Athletes should be sure to hydrate an hour or two before activity, as well as during and immediately after, to ensure they do not become dehydrated. Water should be readily available during sports, for kids to drink every 15-20 minutes while they are active. 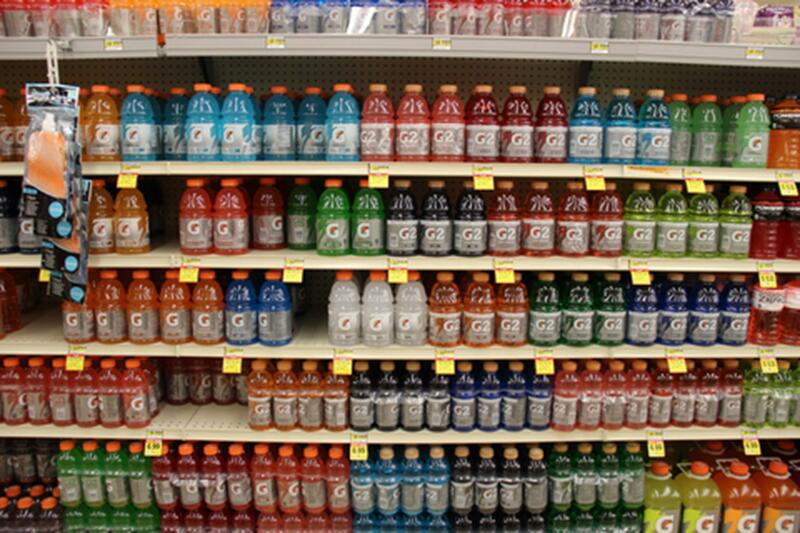 The most popular sports drink available was developed by a kidney doctor and specifically created for college football players who were practicing several hours a day in intense Florida heat. This drink was not intended for the casual athlete, despite the fact that it is often marketed that way. Sports drinks should be reserved for serious athletes in the setting of prolonged, strenuous exercise (more than an hour). These drinks should be discouraged outside of that setting, because they are high in sugar and have been linked to obesity. When your child is sick, they will likely need extra fluids to stay properly hydrated. Fevers, rapid breathing, vomiting and diarrhea can all increase your body’s water losses. Yet when kids are sick, they generally eat and drink less. Infants are particularly vulnerable to serious dehydration during illness. For babies younger than 1 year, continue to feed them breast milk or formula even if they have vomited. Keep in mind you may have to give smaller amounts more frequently. If your baby isn’t tolerating milk, your pediatrician may recommend an electrolyte solution. Older children should be encouraged to sip water frequently when they are sick. Keeping track of the number of wet diapers or number of times your child has urinated is a good way to make sure they are staying hydrated. If a child goes more than 8 hours without urinating, it’s a sign of dehydration and warrants a call to your pediatrician. Other warning signs that merit consulting a doctor include dryness inside the mouth, crying with no tears, and increasing sleepiness, weakness or fatigue. Altmann is a practicing pediatrician who founded Calabasas Pediatrics, an assistant clinical professor at Mattel Children’s Hospital at UCLA and a mom of three. Fischman is a pediatrician for the Brigham and Women’s Hospital in Boston, a clinical instructor of pediatrics for Harvard Medical School and a mom of two. Published: May 16, 2018, 4:58 p.m.